Vengeance is the most dangerous of all nightshades. Unlike grief, it can grow for years, displacing anything around it that craves light. We often say that someone is filled with vengeance, and that is because they have often been emptied of anything else. The Greeks — citizens of an expanding empire, were there ever one — were drawn to the imperial quality of revenge, and it takes a central role in some of the very best plays that have survived that time: Aescheylus’s “Oresteia’’; Sophocles’s “Electra’’; and Euripides’s “Electra,’’ “Orestes,’’ and “Iphigenia in Aulis.’’ All revolve around the murder of the war hero Agamemnon by his wife, Clytemnestra, and her murder by her son, Orestes, in revenge. In Colm Tóibín’s extraordinary new novel, “The House of Names,” it feels as if that night watchman has finally been allowed to speak. Drawing upon Greek tragedy as deftly as he borrowed the story of the Virgin mother in his 2013 Booker Prize finalist novel, “The Testament of Mary,” Tóibín has found the gaps in the myth, reimagining all as a profoundly gripping and human tale. The book opens in the outraged and terrified voice of Clytemnestra, who has been patiently awaiting her husband’s return from war. Possibly for years. But she is no dutiful wife. The last time she saw him he had sacrificed their daughter Iphigenia to the gods for their favor in faraway battles. In that “hush the wind” you can see at once the marvelous writer Tóibín is, and how he works best under a set of self-imposed restrictions. In “Brooklyn,” he laid down the dazzlement of his prose to capture the woolen particulars of an emigrant’s narrowed life. In “The Master,” his sentences unfurled almost in tribute to Henry James, the book’s hero. Here he has found yet another register, a language that is declarative and figurative at once. It feels entirely believable as of its time. There is no space between things and their representation, and as such there are almost no similes in the book. As a result, the prose creates enormous velocity. You do not pause on clauses, or approximations. The speed of this read does not feel incidental but the pace of tragedy. It creates a sensation of inevitability, and terror, as Tóibín neatly lines up the missed queues and festering misunderstandings that lead to a double-homicide revenge plot. 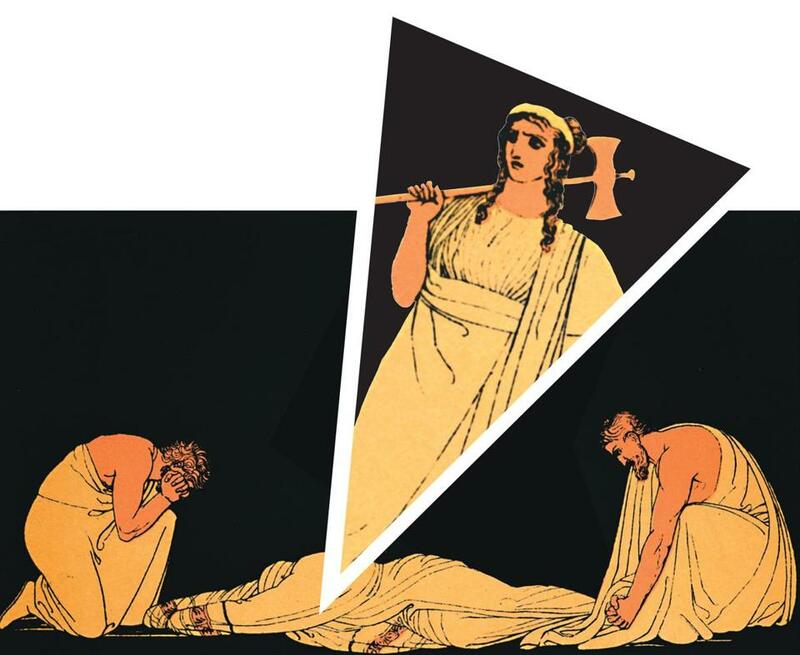 Moving in sections among the points of view of Clytemnestra to Orestes and Electra, whom we read about in third person, Tóibín neatly draws out how similar to hope vengeance can be, especially to people who have been traumatized. As a child, Orestes, in Tóibín’s version, watches his teenaged sister killed. What is truly miraculous, though, is how Tóibín has made us sympathize with people who do terrible, unthinkable things. Describing how she was tricked into dressing up her daughter for a wedding, Clytemnestra elicits tremendous pity. Of course you would stab the man in the neck who did such a thing. Similarly, later, seeing the palace from eyes of the previously kidnapped and long-absent Orestes — his mother and her lover, Aegisthus, unleashing vengeance on anyone who crosses them — it becomes possible to see his revenge as an act of loving loyalty, justice even. Greek tragedy has always drawn much of its strength from refusing to cleave certain human behavior from the populace by labeling it evil. As a fiction writer, Tóibín has brought to life conflicted characters, but few of them would ever be arrested. Almost none of them would be labeled evil. He does not flinch here, though, in depicting men and women who kill in anger, in grief, and to survive. Strangely, one of the book’s most vivid scenes involves Orestes and two friends killing three watchdogs as the trio runs away from a prison where they were held. Security is a kind of sliding scale, this book reveals. For power to survive, for its possessors to feel safe, very often a lot of people have to die. As Orestes and his friend Leander make their way back to the city after five years away, they traverse a wasteland of example: houses burned, bodies piled high. Both of their lives have been carved by the blade of vengeance. They have a moment, though, where they can imagine another life. Perhaps one together. Or one where they won’t have to kill anyone again. The miracle of this book is that even though its story is 2,500 years old, in that moment, we hold our breath in hope that they too will not become hollow men. John Freeman is the editor of the literary biannual Freeman’s, the latest issue of which is themed to home.